You are here: Home / Tutorials / How do I register a new domain name? 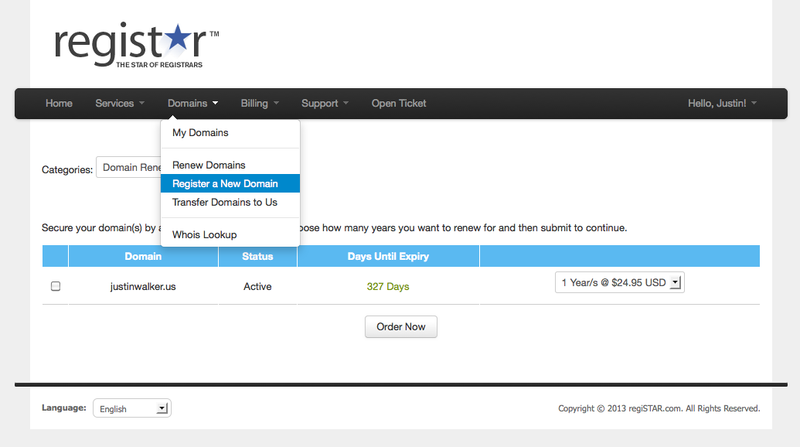 Registering a new domain name is simple. From our home page, search for the domain name you’d like to register to first see if it’s available. You may also register a new domain name from from within your Client Area. To do so, first log into your Client Area. 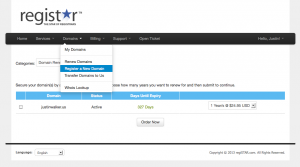 Next click on the menu item titled Domains then Register a New Domain.